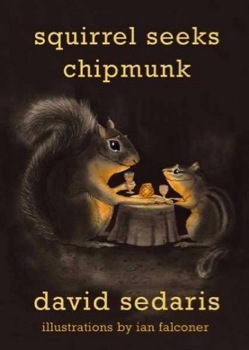 If you want to get a feel for Squirrel Seeks Chipmunk, check out this book trailer narrated by David Sedaris. It’s a super short 39 seconds, but it gives you a chance to see some of the illustrations from the book. Squirrel Seeks Chipmunk will be released on September 28th.